Another debut for the new Bass Culture release. 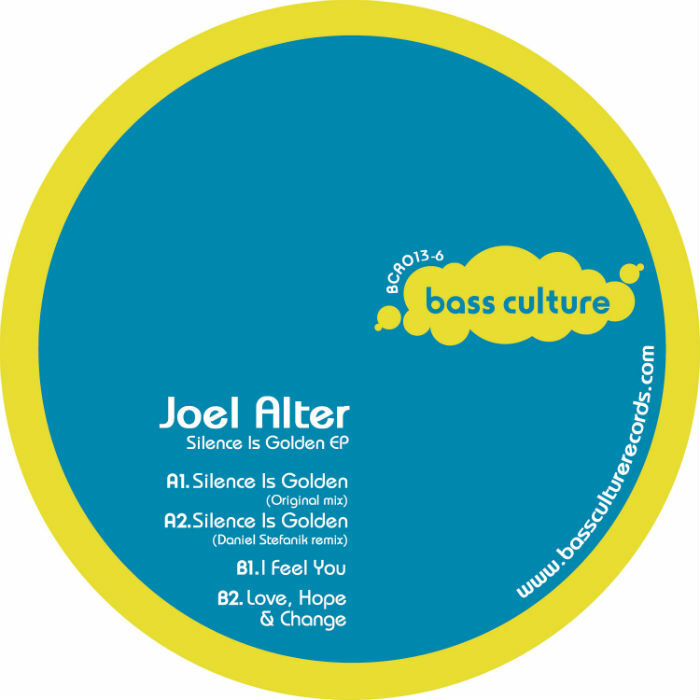 For BCR013, we welcome Sweden’s Joel Alter. As a trained Violinist and composer for the Swedish National Theatre, Joel’s first steps into the world of electronic composition came with an exotic mixture of classical influence and modern inspiration, from acts such as Depeche Mode, Jean-Michel Jarre and Front 242. A key figure on the Swedish music scene since 1995, Joel has always seen his music as stemming from the meeting of a variety of artforms. His first steps onto the international circuit came with the signing of material to Int. DeeJay Gigolo and Minus. Since then, he has developed a strong relationship with Hamburg label, Room With A View, featuring on seven releases since early 2009, as well as releasing on Berlin based label Sweatshop. It was January’s ‘Preaching To The Choir’ on Room With A View, a track that became a firm favourite with D’Julz, and included on his Rex Club compilation, that lead to a request for an EP for Bass Culture. The ‘Silence Is Golden’ EP is a broad, four track selection, showcasing the sounds and style of the Swede. The deep, popping-bass and crescendo hitting keys of the title track, are supported by the excellent ‘I Feel You’. A track that, uses the most recognizable of vocal samples, in a highly respectful and fresh way. ‘Love, Hope and Change’ is a haunting slice of melancholy, that shines through its elegant, cascading piano. One grand debut deserves another, and Bass Culture welcomes Daniel Stefanik with his take on ‘Silence Is Golden’. The man from Leipzig reworks the original into a late-night tribal-tech number, using its silky keys to perfection and retaining its air of elegance. This entry was posted on December 3, 2010 at 14:33 and is filed under Release.